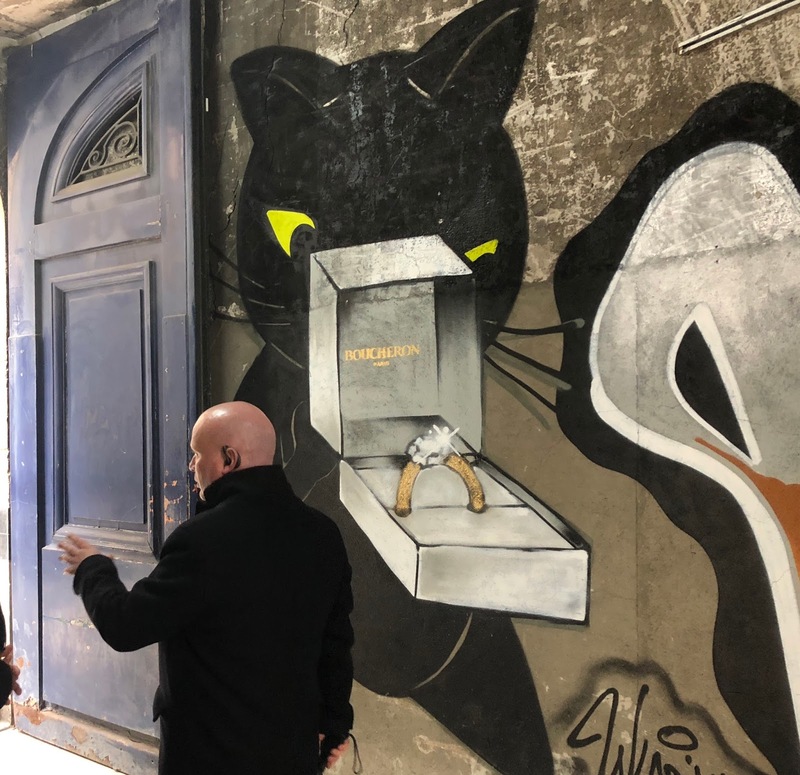 Today, during my lunchtime, I went to visit the Vendorama installation at Monnaie de Paris, a special event set up by Maison Boucheron, to celebrate their 160th birthday. I absolutely loved the bubble shape ephemeral translucent structure. Inside, it was very modern and classy. They were 6 different sections. The first one, named "Inspiration", was a lovely red salon with bookshelves, in the middle of which were presented beautiful pieces from the Serpent Bohème collection. I absolutely loved the white mother-of-pearl long necklace. 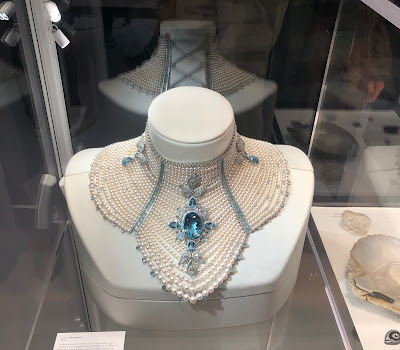 A bit further, in the "creation" section, I couldn't get my eyes off a collar necklace from the Baïkal collection set with oval aquamarine, moonstones and cultured pearls, paved with diamonds and aquamarines, on white gold. Absolutely breathtaking! I also very much liked their ring signature collection Quatre, presented in silver displays that were lighting up and switching off. Finally, at the end of the exhibition, there is a studio where the visitor can have his picture taken. It makes a nice souvenir of this great moment. PS: if you wish to go and see it, it's on until January 28th, 2018. Booking on the website is advisable. Also, thank you to the comedians for their live performances. It looked so real. Azzedine Alaia "Je suis couturier"